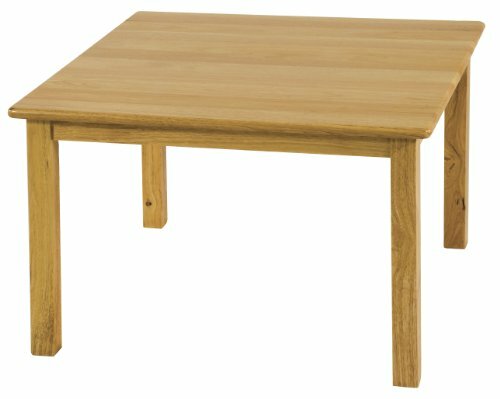 A classic edition to any classroom, playroom, library, or common area, this durable, solid hardwood table is attractive and built to last. Tabletops are beautiful, easy-to-clean, and have smooth, rounded edges for style and safety. Features a 3/4" thick hardwood tabletop and solid hardwood legs.